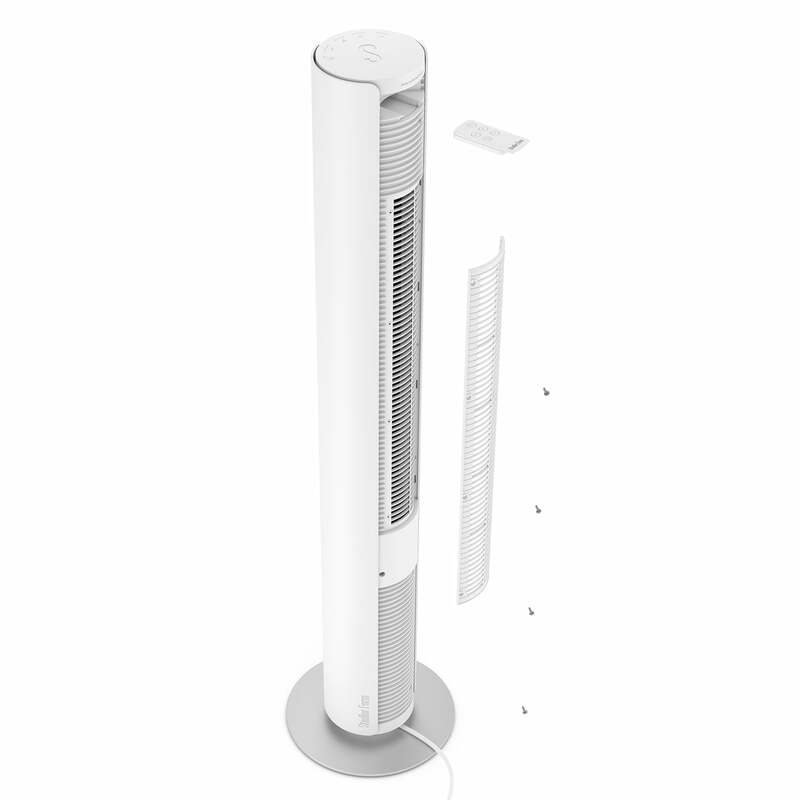 The Peter tower fan by Bernhard & Burkhard for Stadler Form convinces with its compact dimensions and intelligent features such as the 1-7 hour timer, a mode for a natural breeze, a comfortable remote control and a practical carrying handle. Thanks to its slender column shape, Peter requires little space in the room and nevertheless provides a lot of wind. 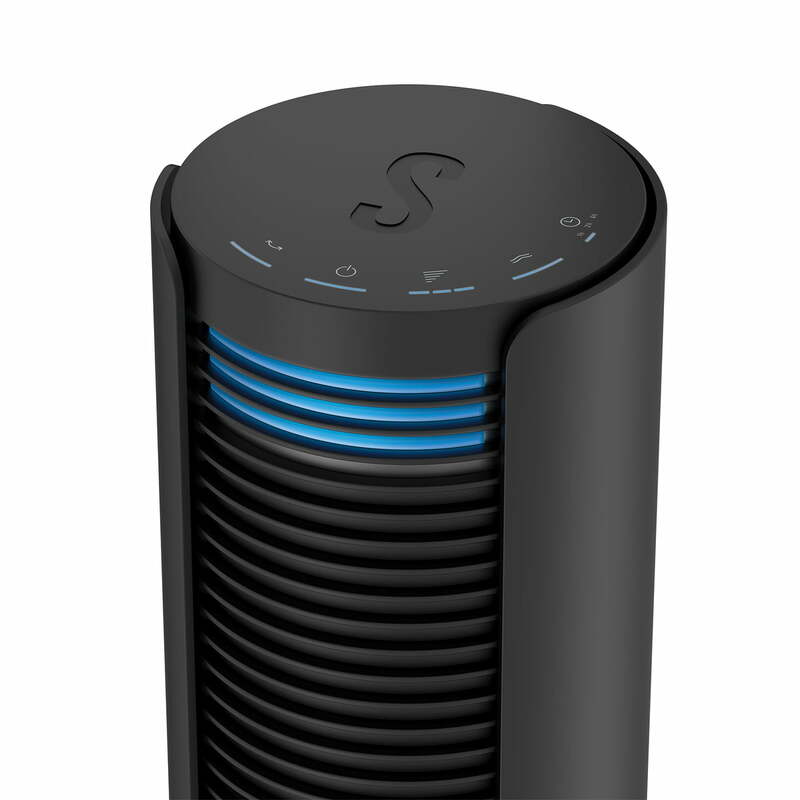 With the swivel function it distributes the air evenly and pleasantly throughout the room. The fan offers three different speed levels for the individual selection of the wind force. 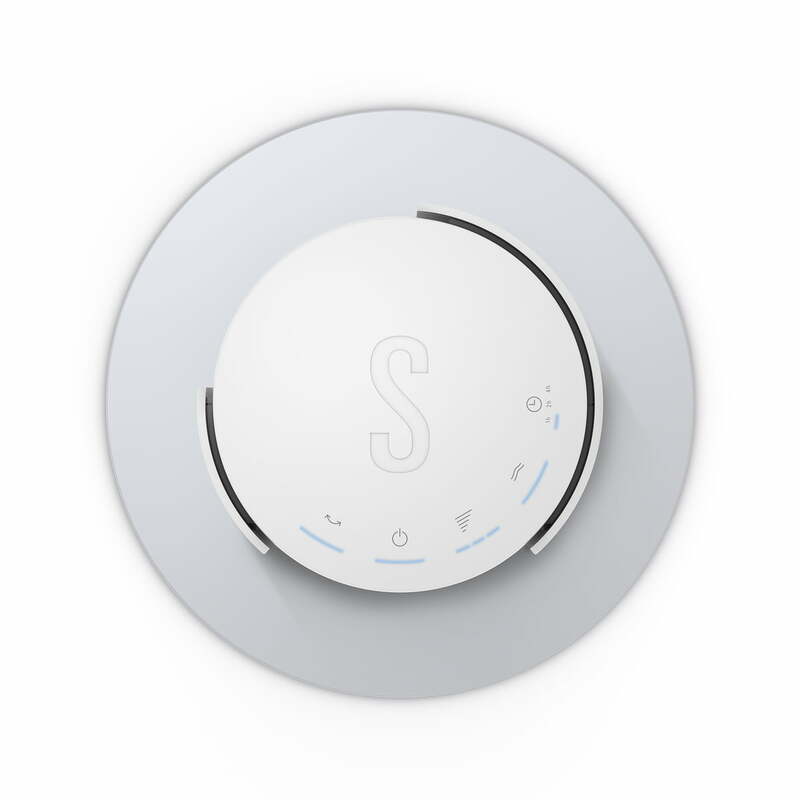 A "natural breeze mode" simulates natural wind conditions in a pleasant way. All functions can be selected via the control panel with a light touch. The tower fan remains protected from dust by a washable air inlet filter and prevents coarse particles from entering the fan. Available in various colours, Peter adapts perfectly to any ambience. Peter produces a lot of wind with his slim and elegant stature. 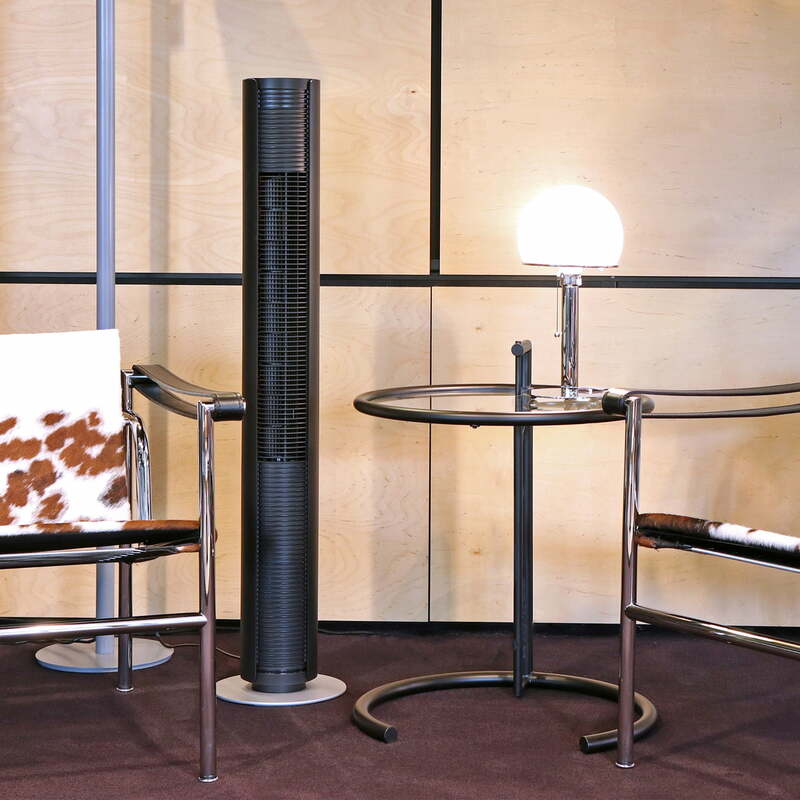 With the swivel function it distributes the air evenly and pleasantly throughout the room. The Peter tower fan by Bernhard & Burkhard for Stadler Form convinces with its compact dimensions and intelligent features such as the 1-7 hour timer, a mode for a natural breeze, a comfortable remote control and a practical carrying handle. 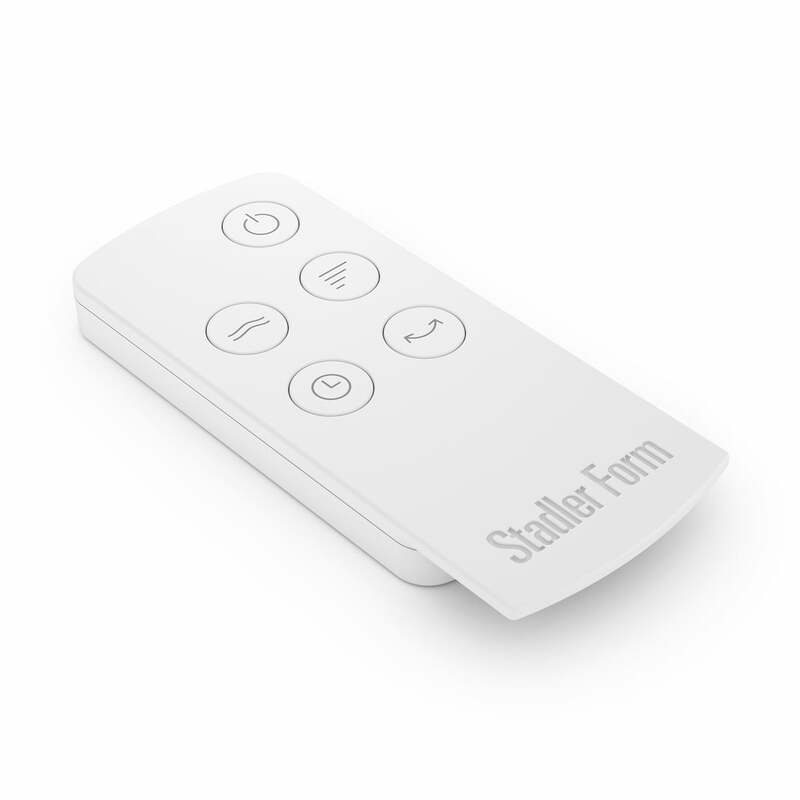 The remote control for the tower fan Peter von Stadler Form in the single product view. The fan can be operated even more conveniently with the remote control. 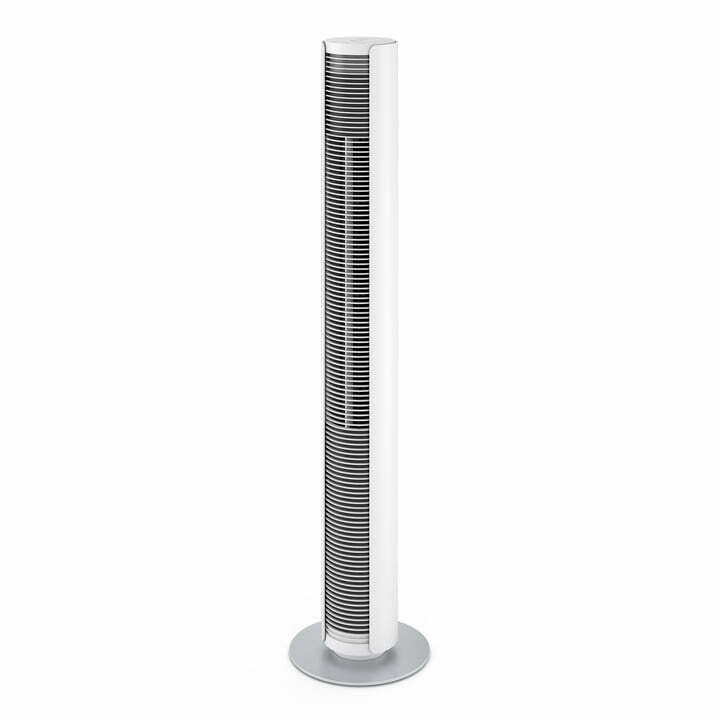 Thanks to its slender column shape, the tower fan Peter von Stadler Form in white / silver requires only little space in the room and nevertheless provides a lot of wind. The tower fan Peter von Stadler form in black / silver in the ambience view. 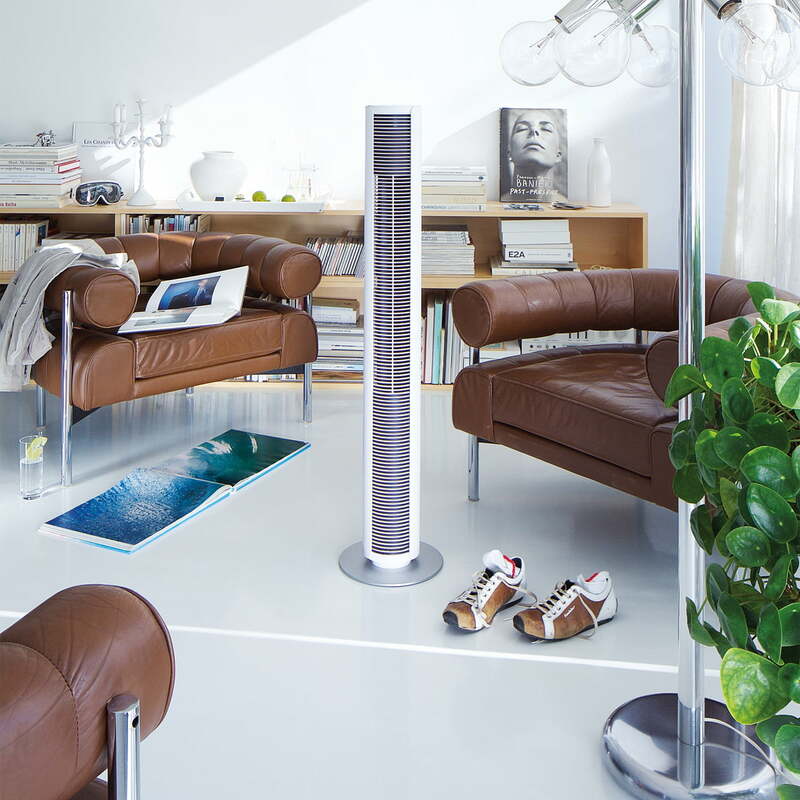 With the swivel function, the fan distributes the air evenly and pleasantly throughout the room.